It's here! 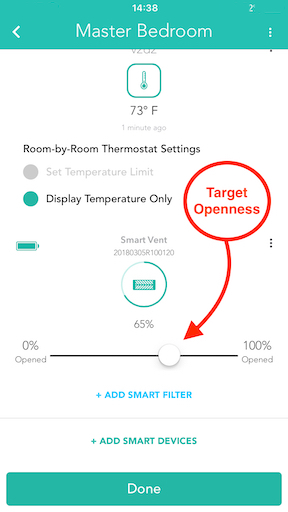 The Keen app's new Scheduler can be used to set open/close times for your Smart Vents. 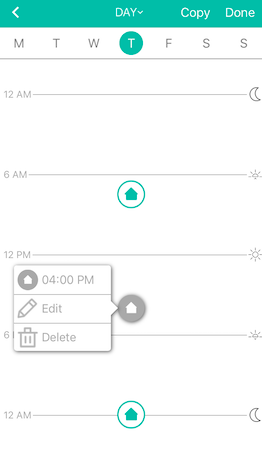 From the Home Controls screen, tap into your room of choice and then choose 'View Schedule' at the top of the screen. To add a new occupancy event, simply tap in the general vicinity of the time you would like to set your schedule - then choose Occupied or Unoccupied. Don't forget to hit 'Done' at the top to save your newly entered schedule times! 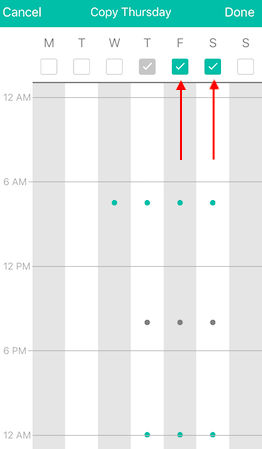 If you would like a closer look at the day, you can pinch your fingers open to zoom in, and pinch them closed to zoom back out. This lets you choose a more precise time for new events. As a reminder, Unoccupied means closing the room's vent(s) and ignoring temperature automation until the next Occupied period begins. 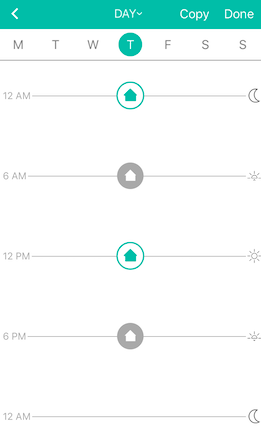 You can edit existing events more quickly by tapping the event's Home icon once and using the up/down arrows to adjust it by 15 minute increments. For an overview of the week, just tap the DAY↓ button at the top of the Scheduler. Send us your feedback! We would love to hear if it's working well, if you run into any trouble, and any new features you would like to see added.